Note: Online registration is closed. We will have limited early morning registration race day from 7-8:15am. Come early if you have not registered and you want to run. Run the Farm is part of the Trail Mix Trail Series 2015. The final race in the Trail Mix Series is the Raven Rocks Run at Ward Pound Ridge Reservation on Sunday, November 15, 2015. Visit the Trail Mix site for more information. 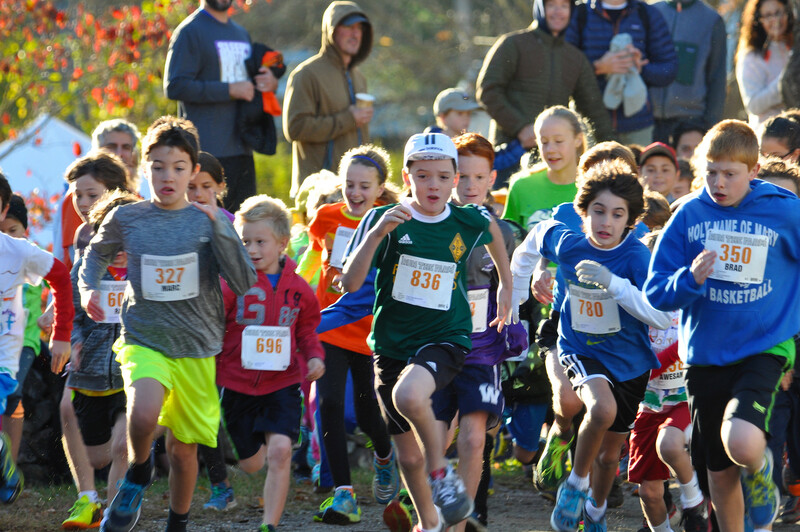 Start of 7-12 Year Olds Race in 2014. More registration information • Date is Sunday, October 25th, 2015.